Our economies and lifestyles are largely based on ‘take-make-consume-dispose’ models that deplete our resources, degrade biodiversity, generate pollution, and contribute to climate change. To detect the most efficient entry points for action and levers for change, the INHERIT project team conducted a thorough analysis of the links between lifestyles and behaviours, environmental sustainability, and health and equity. Various drivers such as economic, cultural and demographic factors influence our behaviours and lifestyles; people have different levels of capabilities and opportunities such as access to healthcare or green spaces. In addition, we are exposed to different environments and ecosystems, resulting in different impacts on our health and well-being. 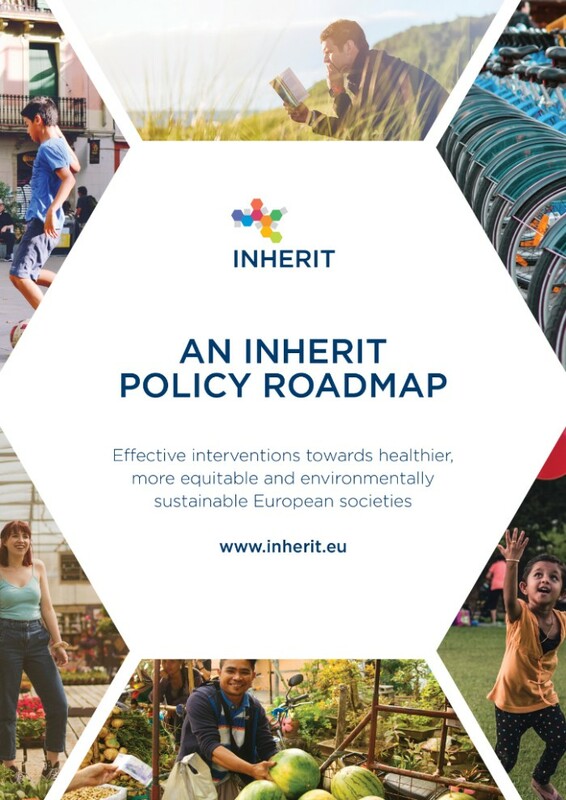 Promoting healthier, more equitable and environmentally sustainable European societies by 2040, the INHERIT Policy Roadmap provides a selection of practical suggestions to contribute to the development of policy actions that will (when implemented throughout the years to come) encourage people to change their lifestyles and behaviours. 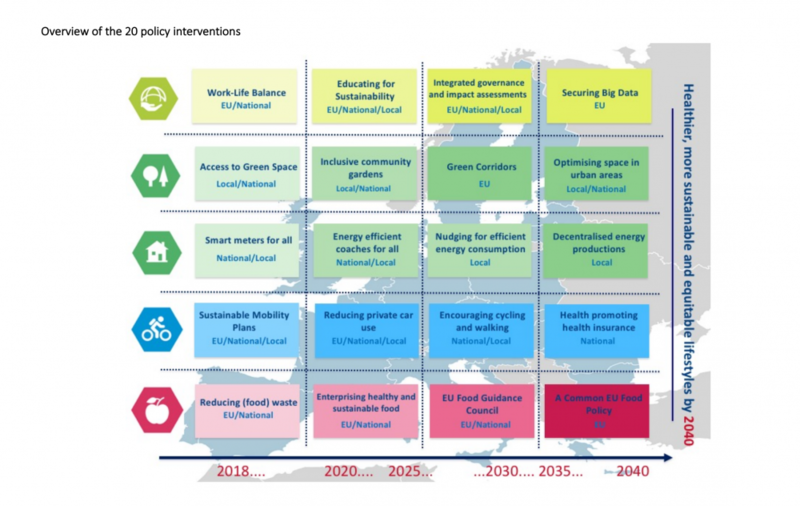 This Policy Roadmap is not intended to be a prescriptive ‘how to do it’ but has been developed as a supportive tool to highlight some key areas and actions that should be promoted by policy-makers, organizations and citizens alike in Europe. This report’s structure builds upon the INHERIT conceptual framework: in the first section, we give an overview of INHERIT’s objectives and analytical approaches; the second part describes the 4 future scenarios that underpin the forward-looking methodology used to identify policy interventions; followed by a third part that presents each policy intervention in more detail. The Roadmap report concludes with challenges and opportunities needed to reach and influence stakeholder behaviour and their respective contributions to achieving more specific UN Sustainable Development Goal targets. Click on the diagram to read the full route map.